With the Ibiza Opening parties in full progress, as well as the label’s new mix album Deepalma Ibiza 2015 doing very well across the charts worldwide Deepalma Records is putting out its next exclusive release. 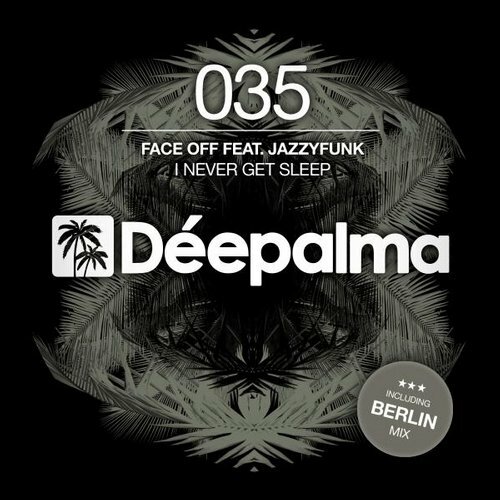 It is coming from Italian act Face Off who teamed up with their mates JazzyFunk to deliver ‘I Never Get Sleep’, a deep and dark jam which should especially please the Techno and Deep-Tech lovers amongst you. Next to the Original and Dub Versions you are being served an even more driving Lost In Berlin Mix. Hypnotic synth programming meets driving beats.